A Fort Carson soldier, missing since Monday night, has been found alive and in good condition after a 24-hour search, the U.S. Army announced on Wednesday. The soldier, whose name has not been released, was last seen on foot around 9:45 p.m. local time on Monday at the Army post's land navigation site near Pueblo West, while participating in the Expert Field Medical Badge competition, according to Fort Carson spokesperson Lt. Col. Christina Kretchman. Search-and-rescue teams on the ground scoured the area where the soldier was last seen, while helicopters searched from above. The soldier was located on the west side of the installation on Wednesday morning by a passing motorist on U.S. Highway 115 and was then transported by emergency personnel to a local hospital, according to a press release from Fort Carson. "The Soldiers of our brigade are tremendously relieved that our Soldier has been recovered safely," Col. Dave Zinn, commander of 2nd Infantry Brigade Combat Team, 4th Infantry Division, said in a statement Wednesday. "The Soldier has displayed physical and mental toughness as a Soldier and persevered through a challenging situation. I want to extend my deepest appreciation to all of the Soldiers of Fort Carson, along with the Colorado Springs community, for their diligent work while searching for and bringing our Soldier home." 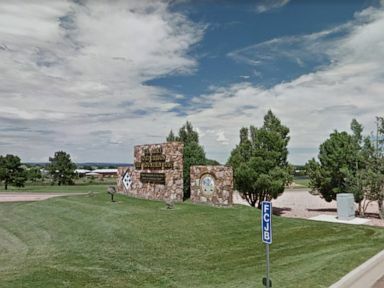 Fort Carson army base in Colorado in a 2015, image from Google maps. Last July, two Army ROTC cadets were rescued after spending a night missing from a land navigation exercise in Hawaii, according to Honolulu's Star Advertiser. A few weeks earlier, in June, an Alabama Army Reserve soldier was found dead in a wooded area of Camp Blanding in Florida, after he went missing during a similar exercise. Spc. Calyn McLemore's body was found two days after the training course began. Officials said that extreme heat and tough conditions could have been a factor in his disappearance and death, according to the Alabama Media Group.